WASHINGTON, DC -- Another Ukrainian boxer, light heavyweight Oleksandr Gvozdyk, also won his fight Saturday night. Referee Bill Clancy counted a knockdown for Usyk with just over a minute left in the 12th round because he ruled the ropes held up a hurt Hunter. There seemed to be several instances in the 12th round when Clancy would’ve been justified in stopping the bout, but he allowed Hunter to make it to the final bell, according to BoxingScene. The 30-year-old Usyk won by the same score, 117-110, on all three scorecards. It was his second defense of the cruiserweight championship he won from Poland’s Krzysztof Glowacki (26-1, 16 KOs) on September 17 in Gdansk, Poland. Usyk beat Glowacki by unanimous decision to win a world title in just his 10th professional fight. On the same night, WBO world champion in the second featherweight champion Vasyl Lomachenko confidently defended his title in a fight with Jason Sosa (U.S.) with a TKO in the ninth round. 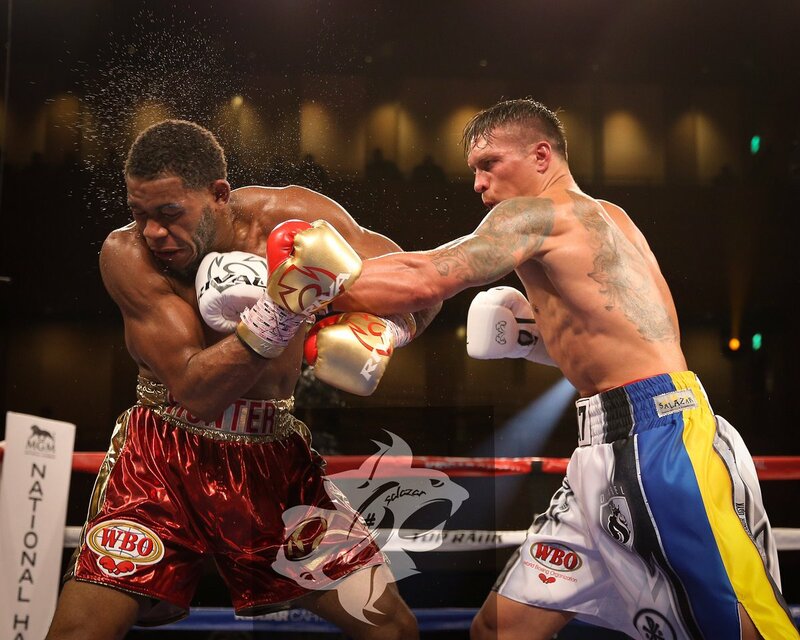 Throughout the whole fight, the Ukrainian dominated fully and increasingly, which led to Sosa’s team throwing a towel in the ninth round. In turn, light heavyweight Oleksandr Gvozdyk scored a very bright victory in the bout with Cuban Yunieski Gonzalez, with a TKO in the third round. Retaining control over the Cuban’s aggressive stance, in the third round Gvozdyk eventually caught Gonzalez with a heavy counterattack, which knocked Gonzales down, for the first time in his professional career. Until the end of the third round, Gvozdyk managed to finish Gonzalez, who failed to get out of groggy and whose team chose to throw a towel amid the Ukrainian’s brutal strikes.